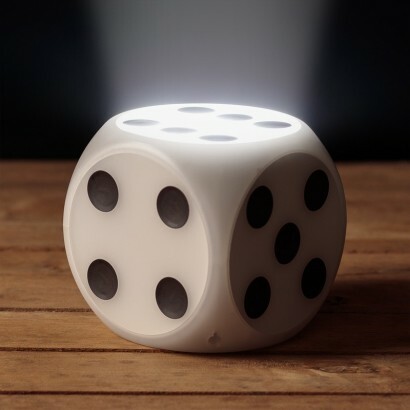 Subtle room lighting at the roll of a dice, this unusual lamp is game for fun adding character and light to your space. 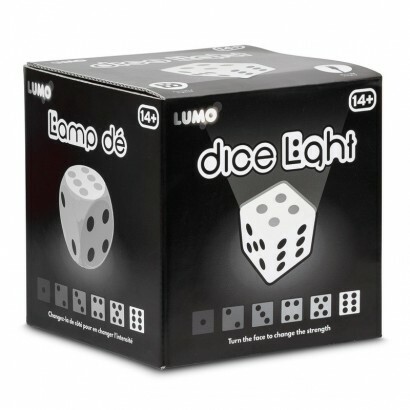 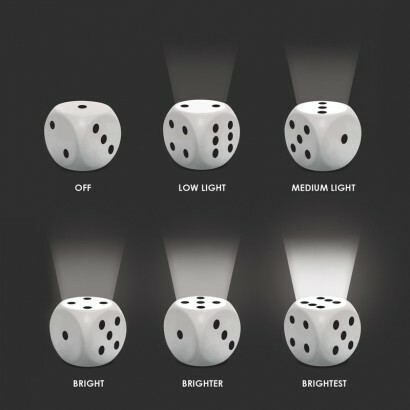 Press the number one on the dice to activate and then turn to increase the light intensity from subtle number 2, to brighter number 6 for fun room lighting. 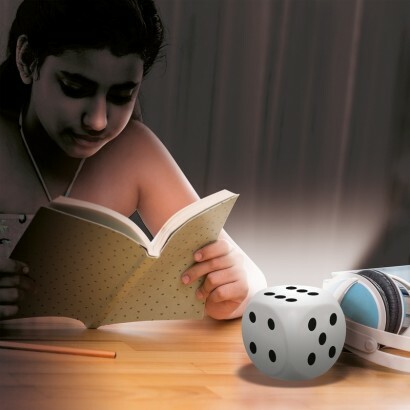 Rechargeable by USB, this unusual lamp can be placed anywhere in your home for playful themed lighting casting white light into your room.